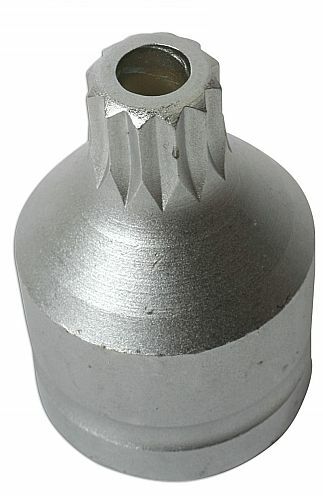 Undersized to avoid damage to sump plugs. 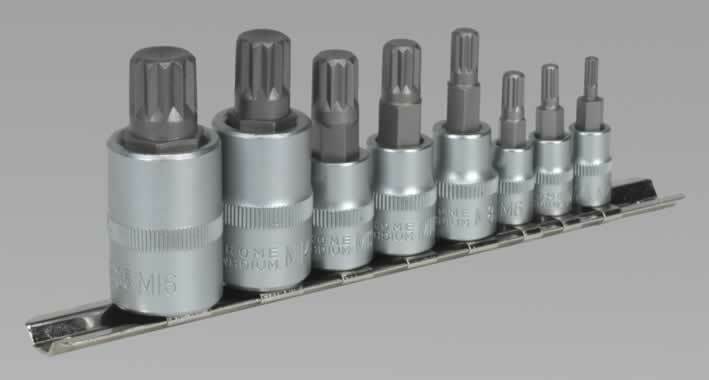 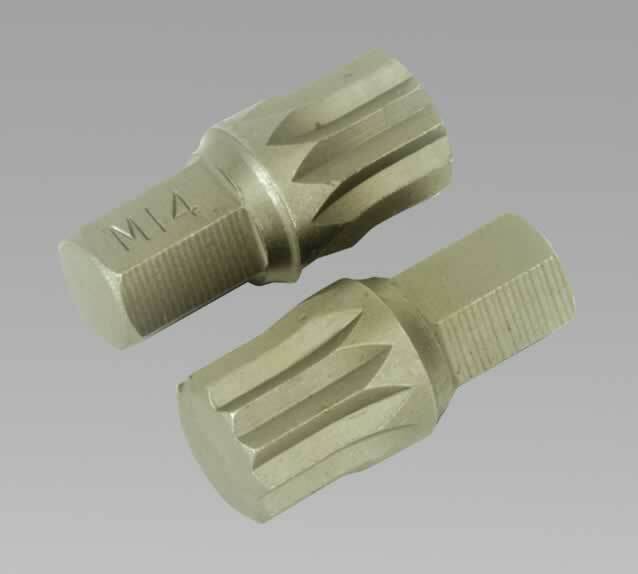 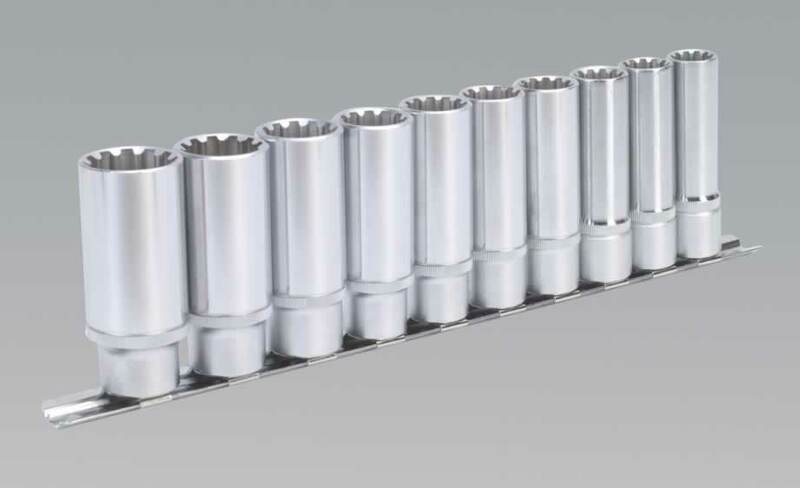 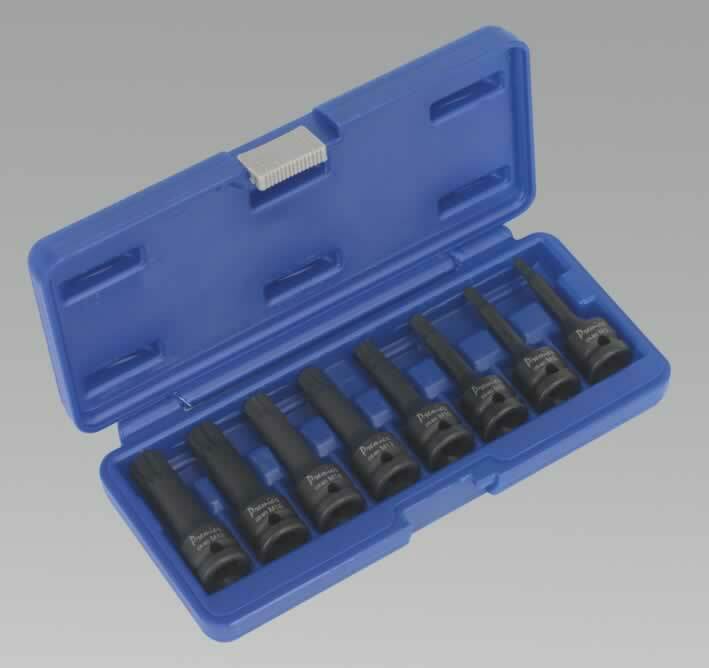 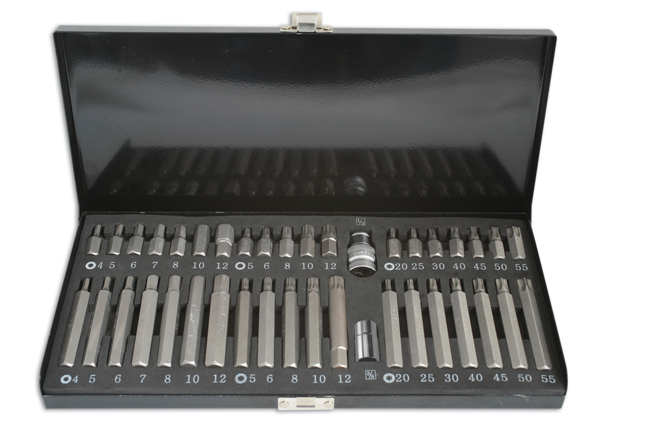 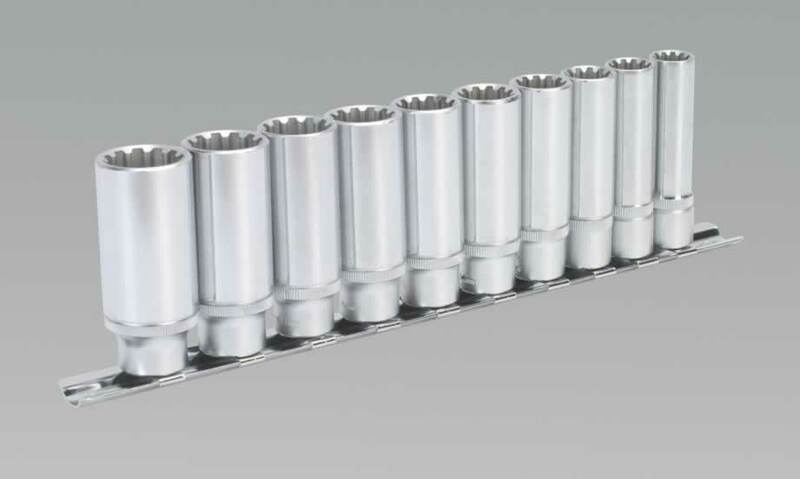 M16 x 1/2"D.
Sizes: M4 | M5 | M6 x 1/4"D x 35mm long, M8 | M10 | M12 x 3/8"D x 48mm long, M14 | M16 x 1/2"D x 55mm long. 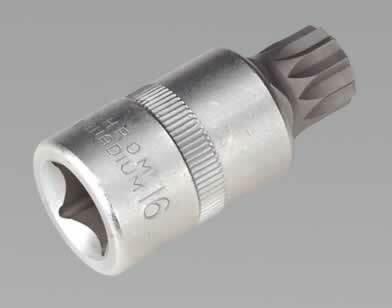 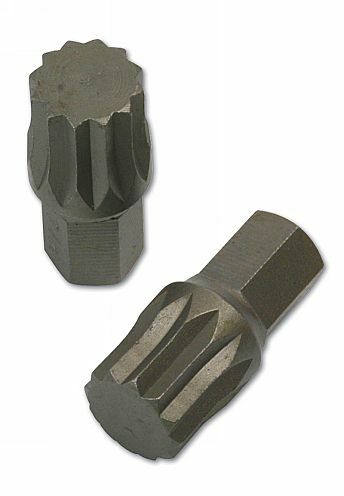 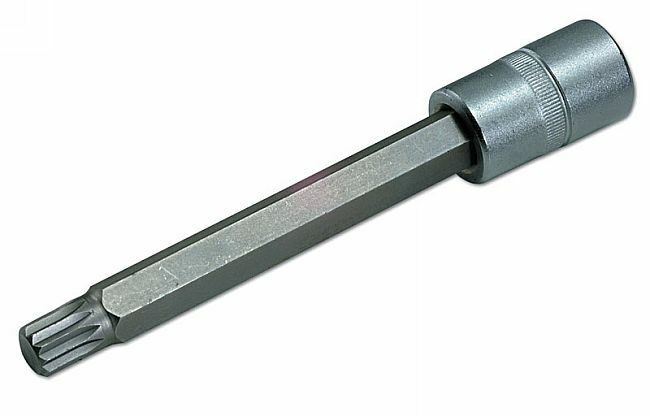 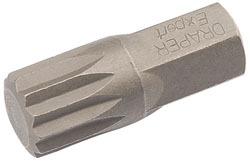 This M18 Spline bit is required when working on rear hubs on Volkswagen Golf and Seat Leon vehicles. 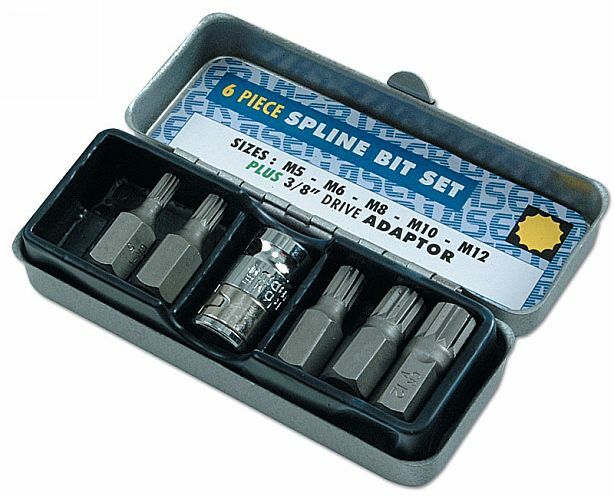 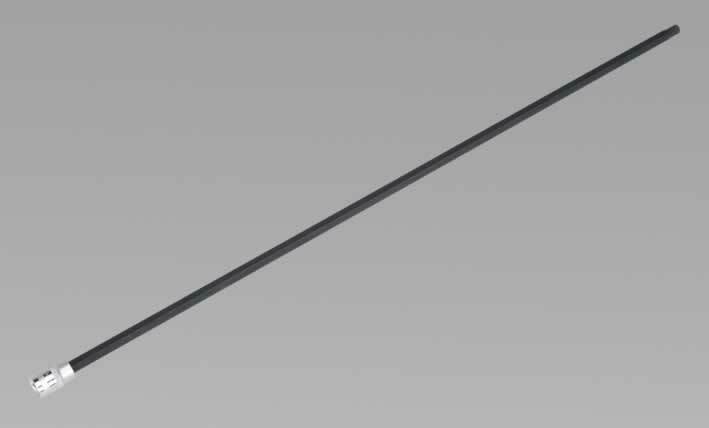 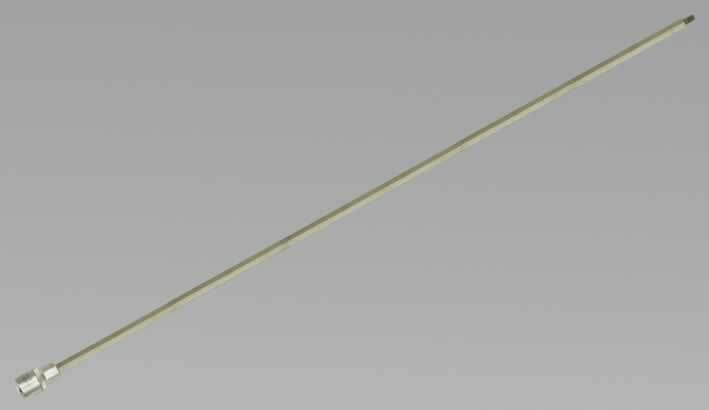 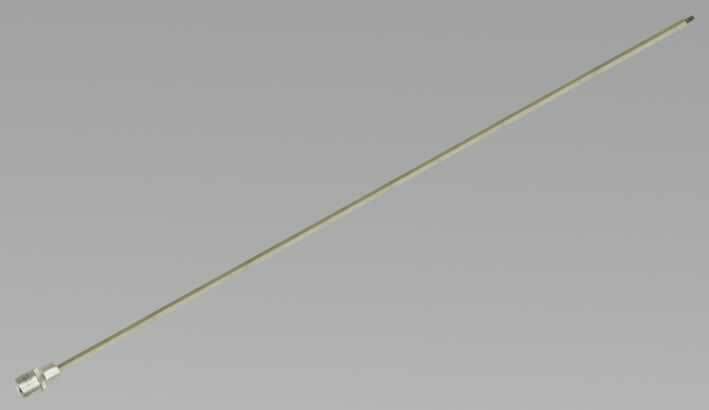 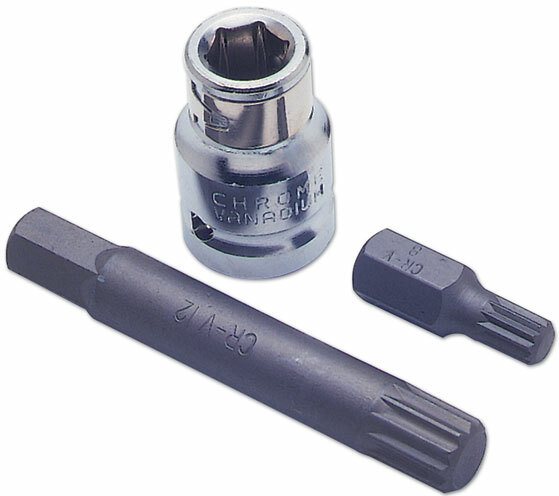 A Spline bit specifically introduced for the ball joints on Volkswagen LT and Transporter. 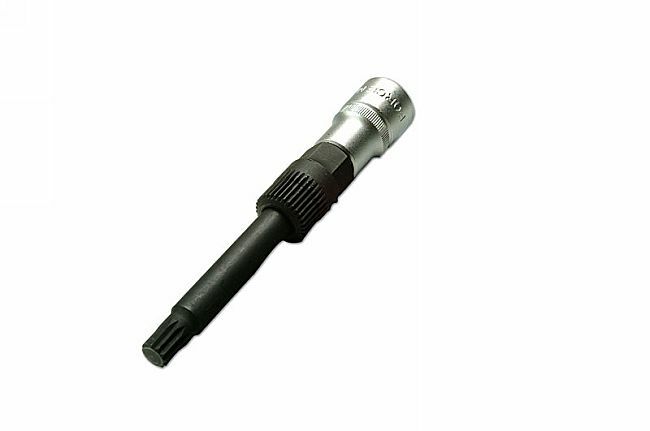 1/2"Sq Drive Chrome Vanadium steel socket with knurled ring and S2 steel bit. 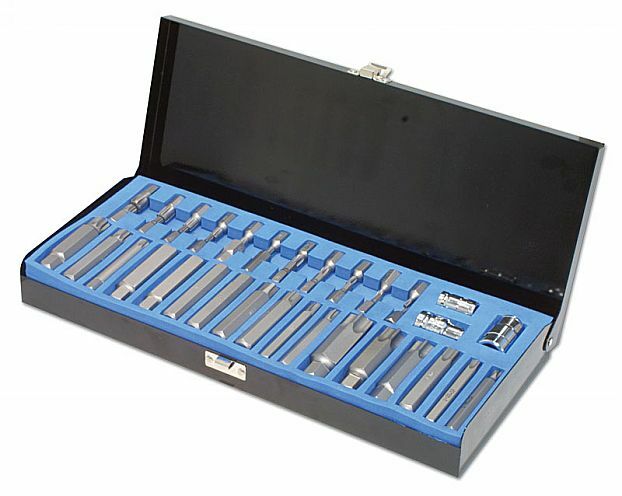 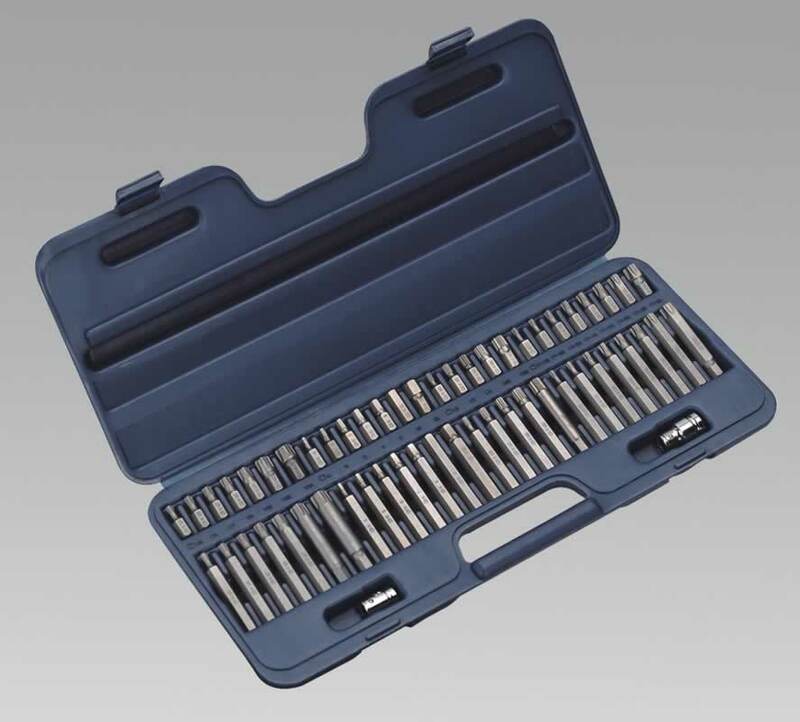 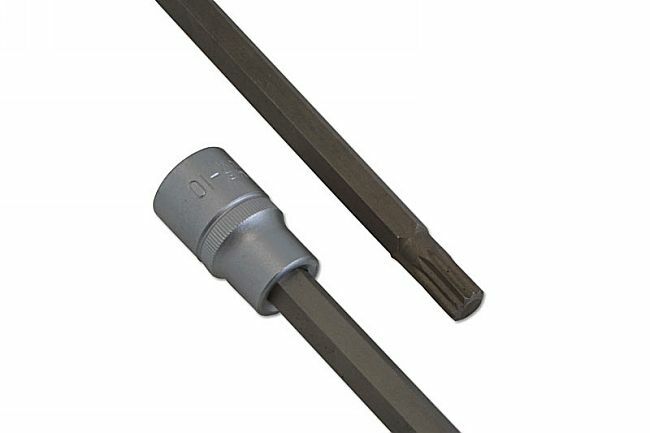 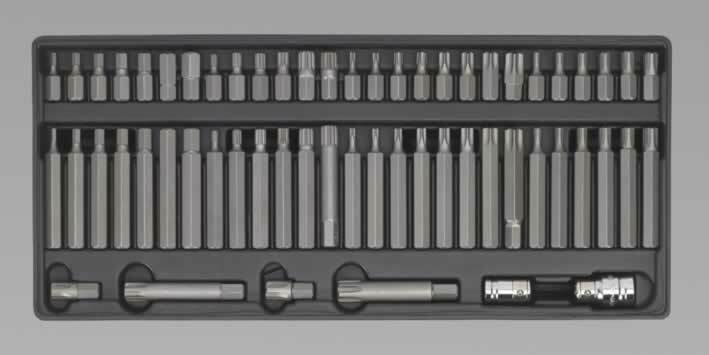 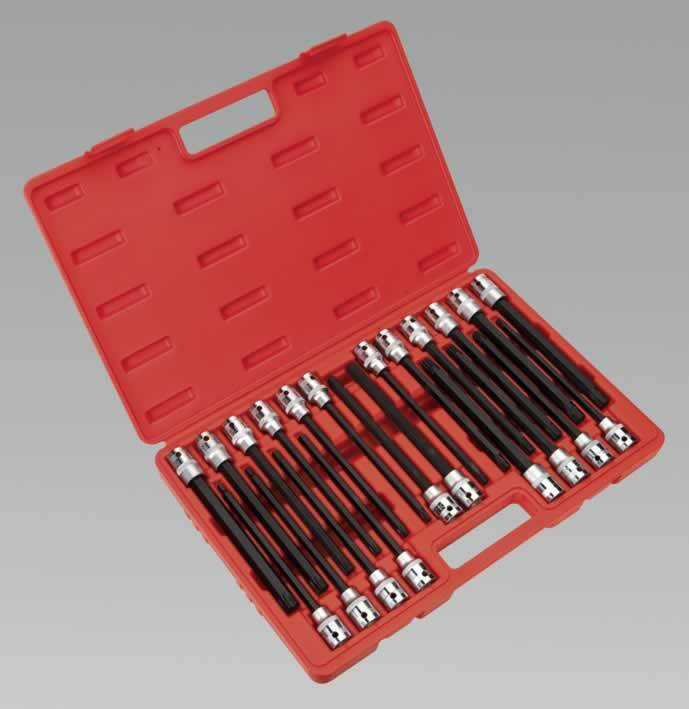 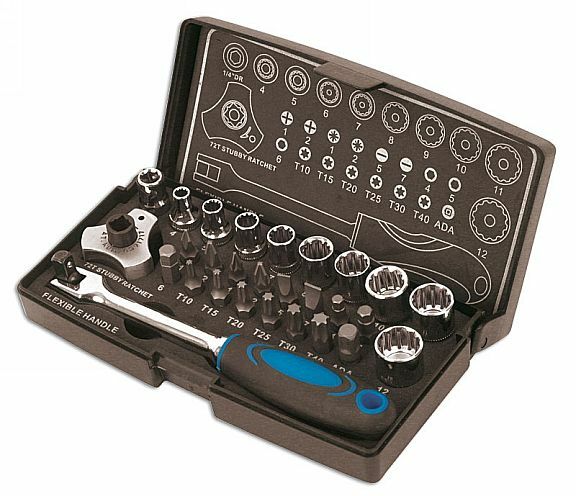 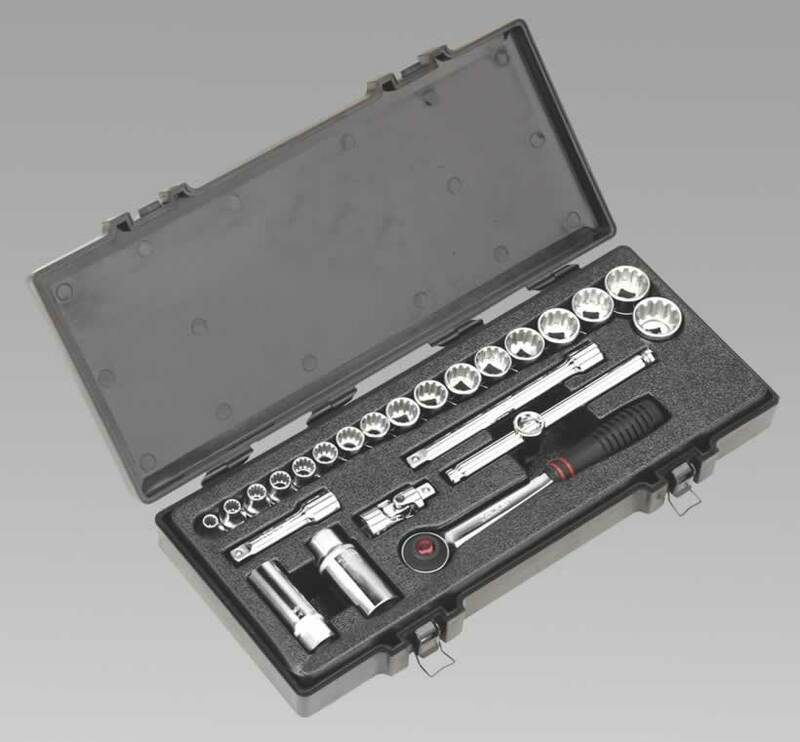 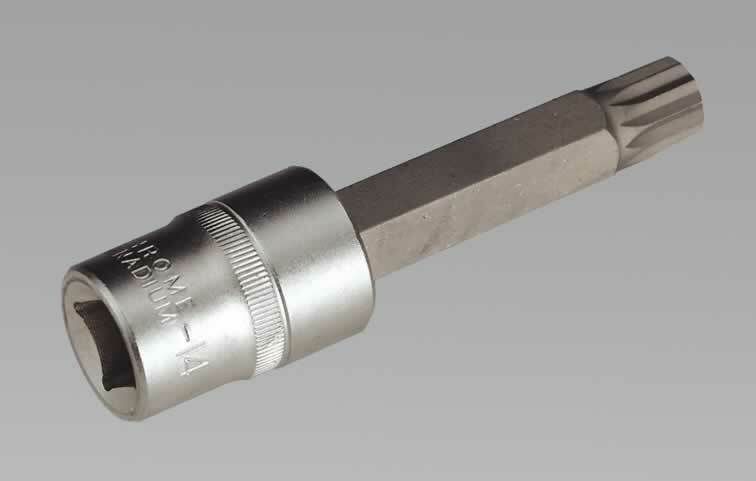 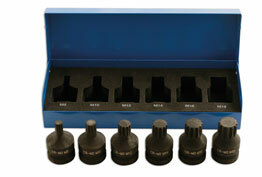 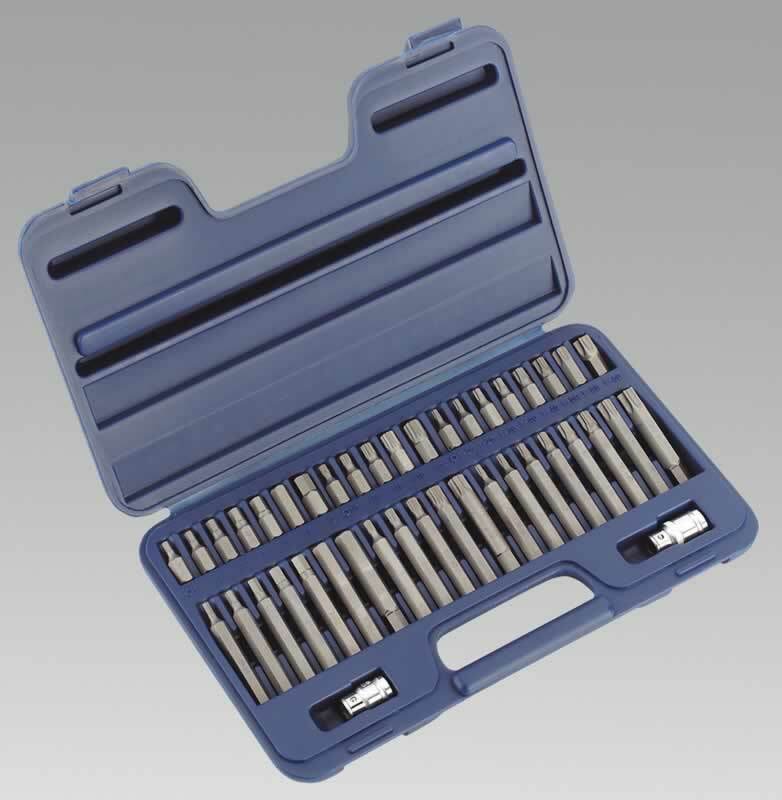 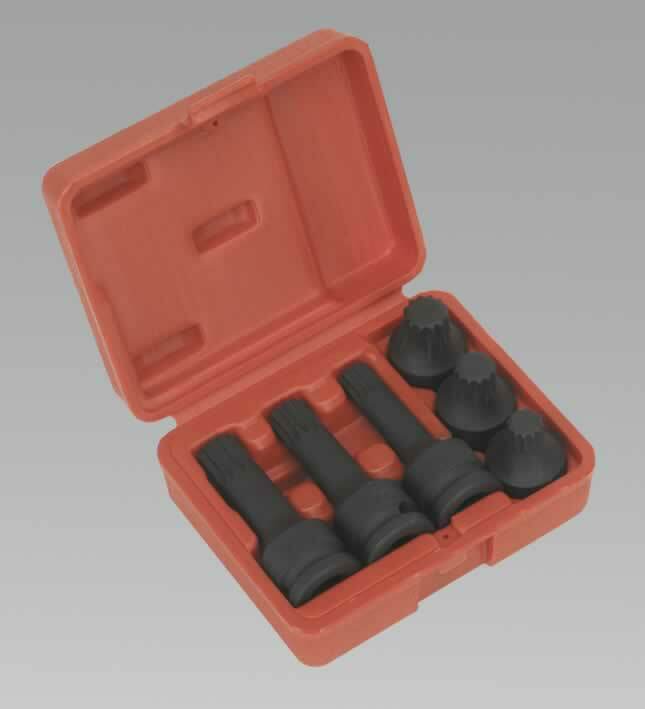 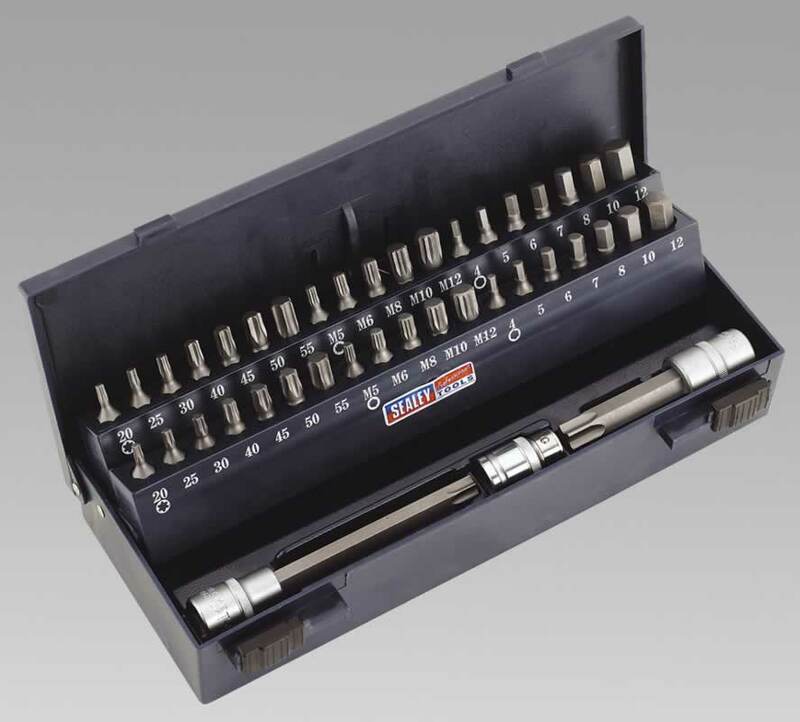 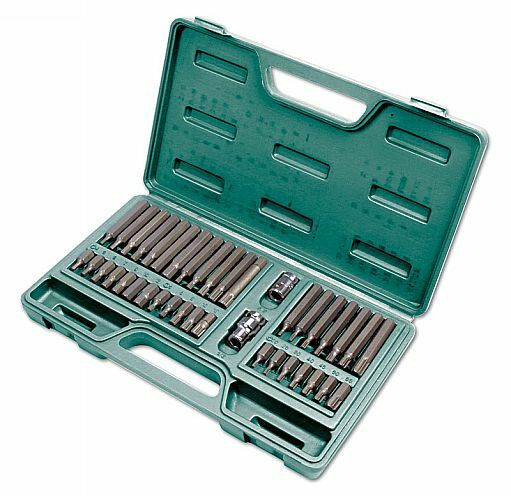 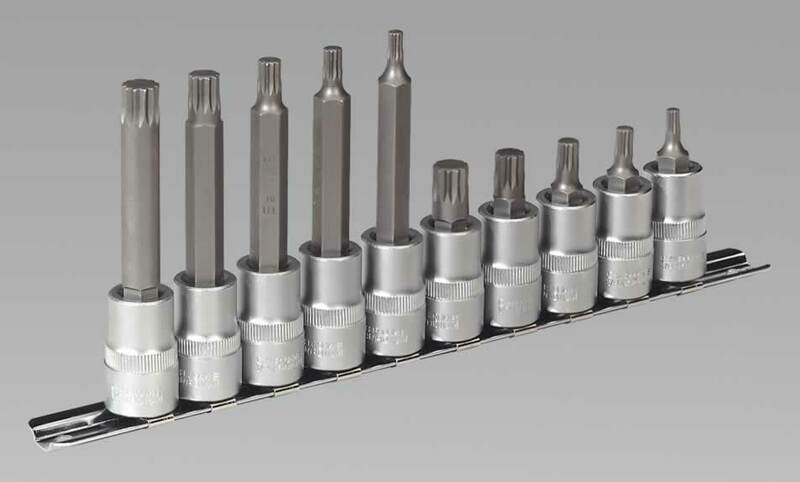 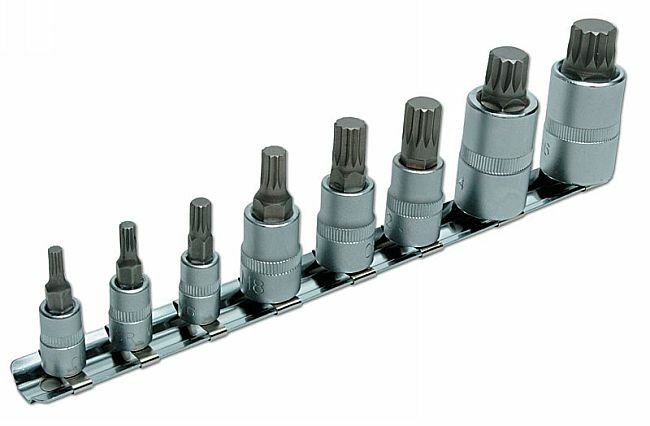 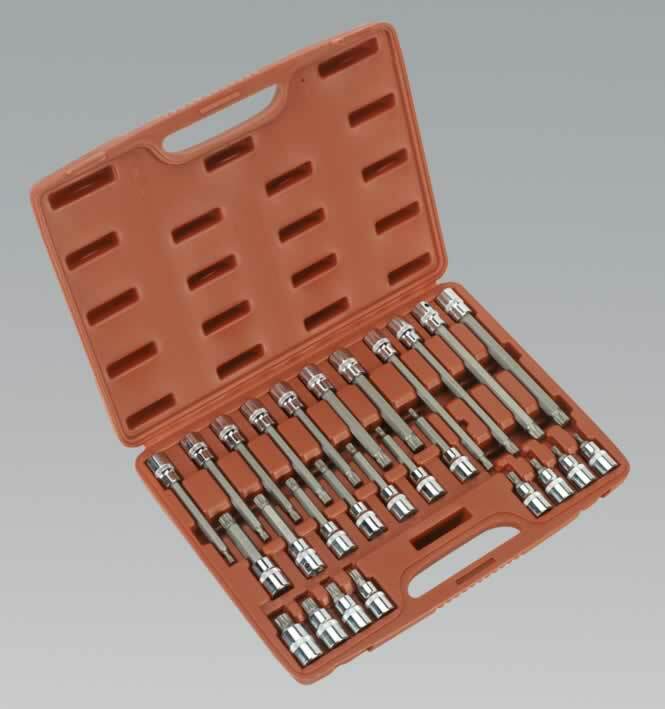 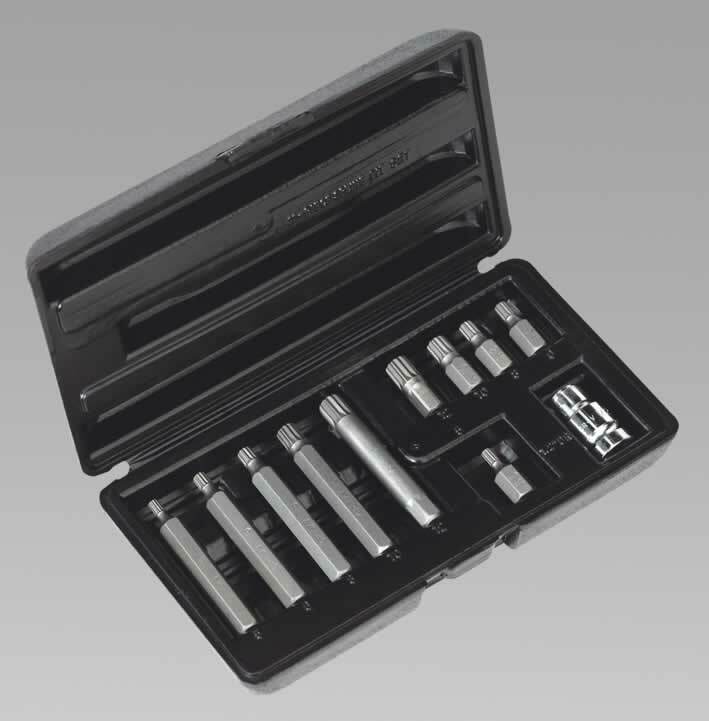 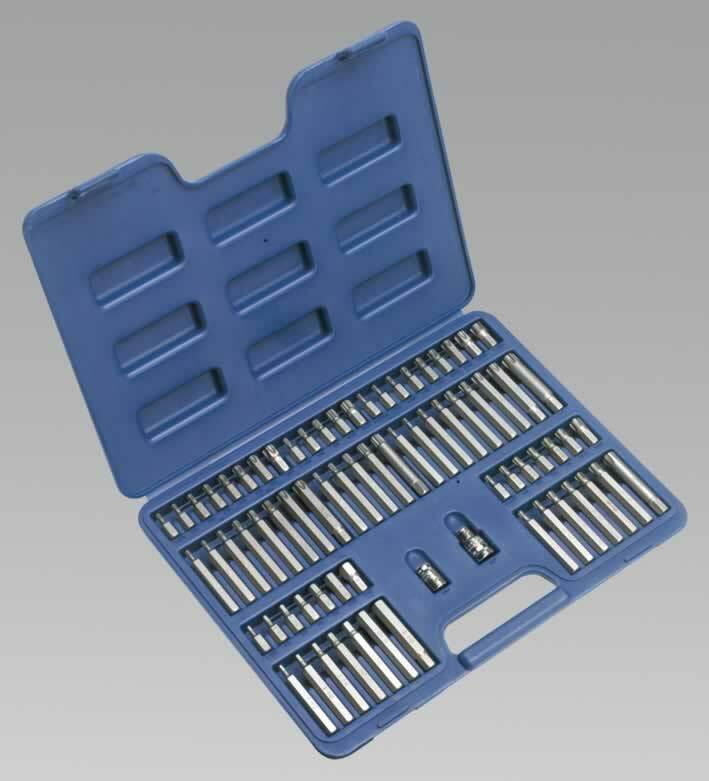 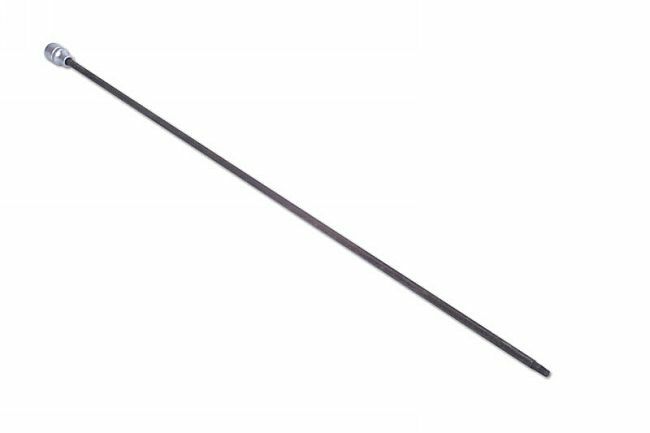 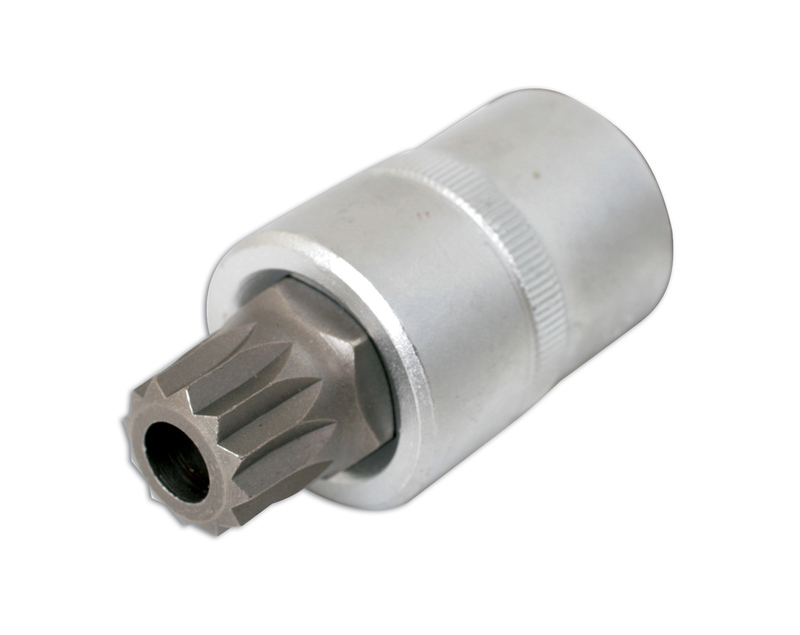 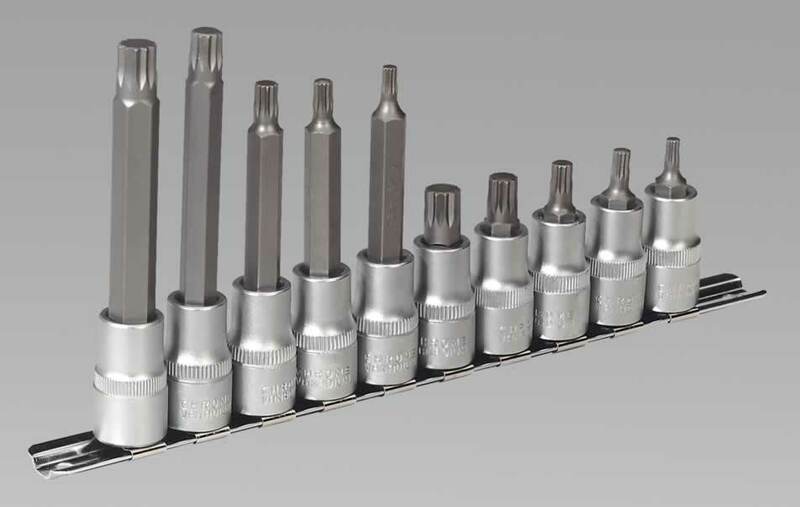 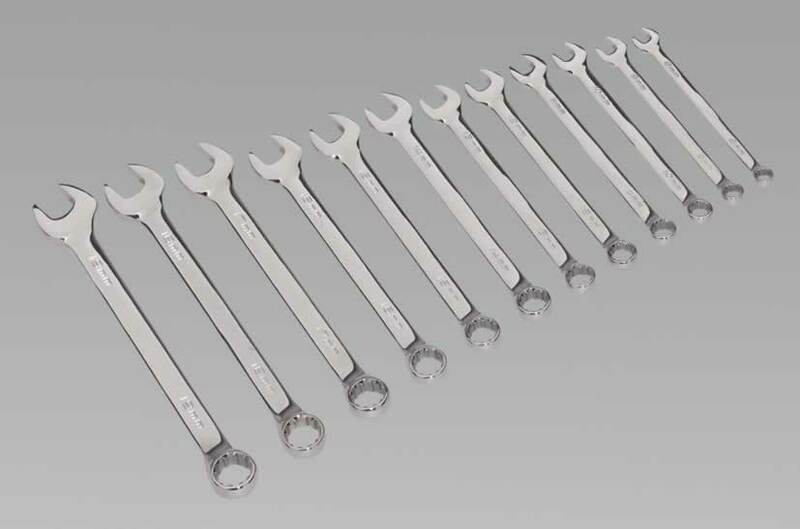 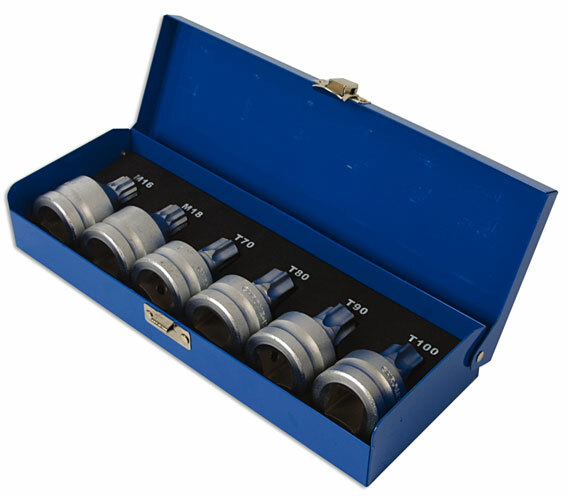 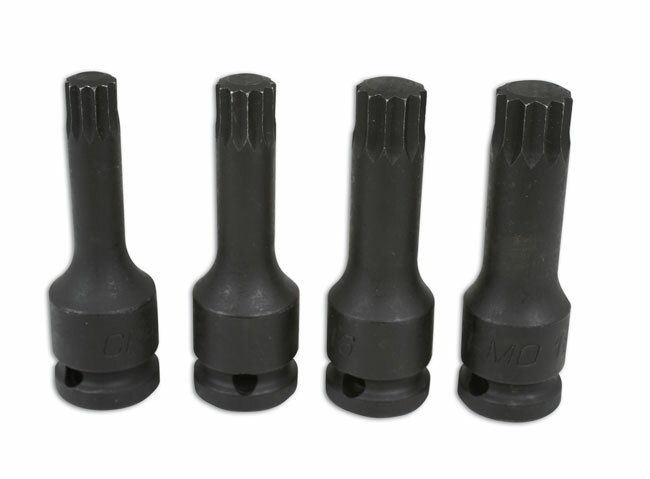 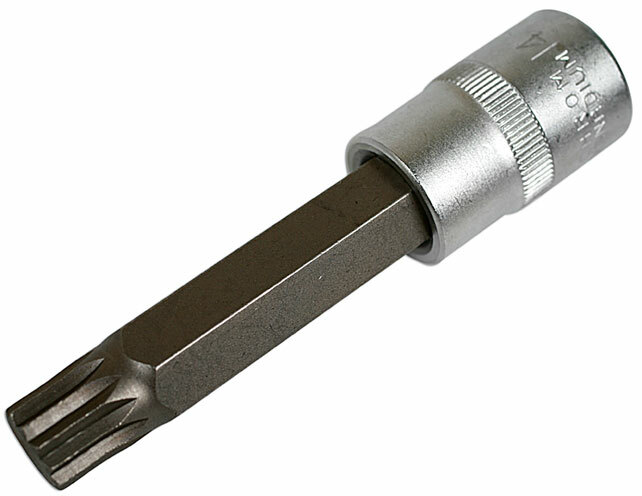 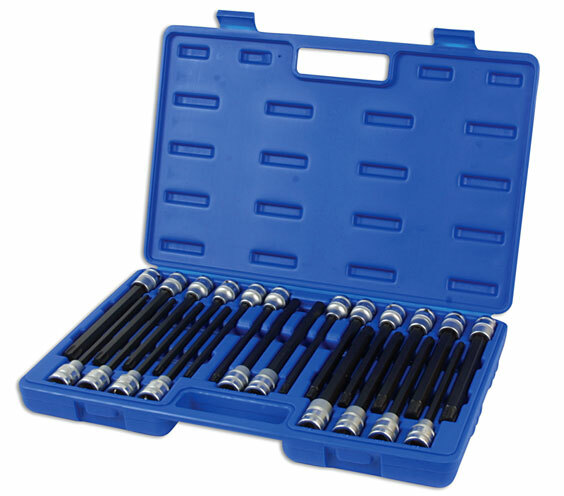 Suitable for gearbox drain plugs on Audi; A3, A4, A6, VW; Golf IV and LT.
One of a comprehensive range of Premier Hand Tools, suitable for daily professional use. 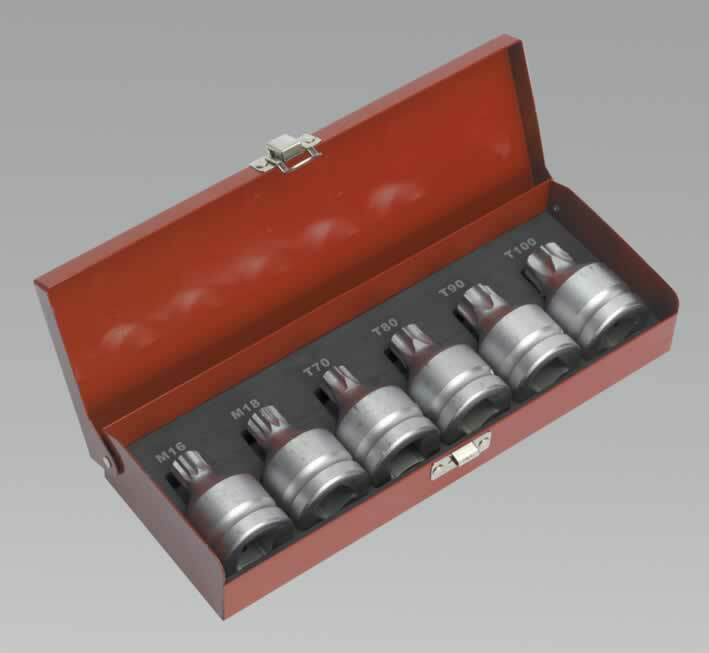 Chrome Vanadium steel Total Drive® sockets, hardened and heat treated for strength with a fully polished mirror finish for resistance to corrosion.